WindyCOYS Only 2 games to go in u23's and 1 game for u18's. We have a large development squad of over 20 players now - and one of our largest ever intakes now at Academy Year 2 who will need to either get a pro contract and go into the development squad, get a 3rd year scholarship or leave. Have you heard of who is moving on from either existing development squad or Academy Year 2 or going on loan or getting a 3rd year scholarship or joining the First Team squad ? With these numbers, logically we probably need to 'lose' about 15 players either permanently or on loan so its a major shakeup I'd have thought. 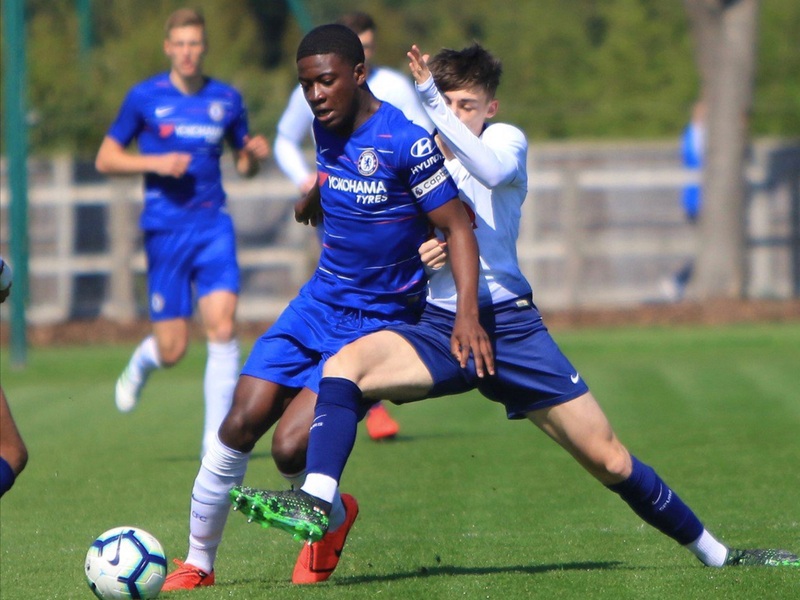 And the position is possibly made worse by some of the Acdemy Year 1 (Troy Parrott, J'Neil Lloyd Bennett, Harvey White, Dennis Cirkin and possibly Luis Binks and even Malachi Walcott) starting to play u23's now and presumably will be playing even more next season, leaving less game time for this in the development squad ! So of your helpful list, Brown has already gone, and I imagine Glover, Freeman, Tanganga, Dinzeyi, Georgiou, Duncan, Marsh, Roles, Harrison, Tracey, Statham, Tainio and maybe one or two others from the second years will all leave. Maybe Carter-Vickers and Onomah too. Is Statham related to THE Jason? Thanks for finding and posting. There are/were some very good posters on SC youth thread including BG, Carl, Spurszhino, spurs9 and half a dozen or so others who all contributed to a decent thread when I started it - problem was always the Mods. At one stage some mods were trying to think of a way to 'monetarise' the information on the youth thread as they had run out of ideas as to how to make money out of ITK after they were left with Hercules as the only source (or do I mean sauce) and no other thread had any unique information or value ! 1. Japhet Tangana - decent E u19 CB albeit slightly short, but we have a lot of good CB's coming through including Eyoma, Lyons Foster, Binks Walcott and others at u16/u15 levels who look good on scanty information. Would still like to keep Tangana albeit he'd need to go on loan, but probably better for him to move to a Championship or even League 1 side and try to work his way back up to PL which he might do. 2. Jack Roles - Usually in theright place to score or assist which is an attribute almost impossible to teach an AM - and does score and assist. And Spurs are short of candidates in that position - with only the much shorter Sam Sashoua, Dilan Markanday and 'less short' Rodel Richards (striker/winger) as other candidates I can see coming through until we get to Academy Year 1 J'Neil Lloyd-Bennett who looks to have great potential. Would like to keep him, but Poch obviously has shown little sign of that. Others like Anthony Georgiou are decent players - in fact I'd prefer him as a winger to N'koudou - but think he has no chance at Spurs. Shayon Harrison I thought had potential aged 18/19 but does not seem to have developed : sadly. Nothing against George Marsh, who seems a terrific lad and always puts a shift in, but his inclusion today is further evidence that Poch is all about perceived ‘attitude’ which is much easier to display as a tenacious DM. In terms of ability, he's comfortably amongst the worst young pros we have IMO; his defining characteristic is that he's a bit of a hatchet man. Could have included Roles, White or Bowden or even Markanday/Shashoua/Parrott. I think it's a great tactic in all honesty. Young players with their heads up their arses see less talented players pass them on the progression ladder. It'll only force them to change their ways or up their mentality for the greater good long term. I trust Poch and his methods, he knows a lot more about the group coming through than anyone else does. Don't disagree but I think its because Georgiou plays either as a traditional winger, and Poch doesn't use these (although why we bought N'Koudo I have no clue) and hasn't been able to convert him into more of a forward or as a wing back but I don't think he's a good enough defender atm. So overall he's a player who isn't atm quite good enough to overtake any of the current first team squad, except N'Koudou, and as WindyCOYS said above Poch seems to prefer more solid players rather than flair players. If he stays at Spurs beyond this season I think he will need to have another loan somewhere - his loan at Spain seems to be going reasonably well - and then see how he looks after that. But I suspect he'll be better off leaving. I don't mind Marsh, I think as a functionary busy **** he's OK, but would obviously be behind people like Skipp (maybe even White now too) for a Cm spot, but what I really don't get is that there is no suggestion and have never heard anything derogatory about Roles's attitude or application. He seems to be a model pro. I just don't get why we needed Skipp and Marsh on the bench today, and a kid like Roles, who's shown application and ability to do something very valuable in football - score goals from various positions - and has played U23 football for a while now, couldn't be deemed worth a bench spot. So what if he's a bit chippy, Rose is a walking chip, are we seriously expecting young kids to be automatons ? Perfectly rounded human beings. As long as they are not problematic or trouble makers, surely ability should figure strongly in our rationale? Never heard a whisper about any issue with Roles. There's being chippy and there's being a not so nice person. It's all speculative as we don't know the reasons & if they are character based, tactical etc who knows. It may even be to give them a little experience close to the first team before we move them on I have no idea. Poch seems to be great at developing players who have either broken through to the first team ( eg Kane ) or got extensive experience outside PL ( eg. Mason and Dele). but he has almost no track record at bringing kids through from youth teams to the first team. Yes he has given a dozen players the rfirst team debut but usually only for a couple of chances _ aside from Onommah who he gave a number of sub appearances on the wing rather than in his real cm position he has only brought through Harry Winks and looks to be bringing through Oliver Skipp - in 4 years. That is a poor record in reality - the kids have been fine the development very poor. A reasonable expectation should be one or even two a year. It's not just Poch with a poor record it's most pl managers - and that is why a number of managers on the continent are now targeting pl academies to recruit from as the kids are perhaps the best in the world. And with the worst opportunities in the world. That is why Mason Sancho went to Dortmund etc. Spurs have lost a number of players even at age 16 ( like Noni Manduke to PSV - one of best cm in UK at his age group) as our development program is now regarded, like many pl clubs, as being very poor. Whilst Poch is generally a good manager his youth development has been very poor - and as WindyCOYS . Has said above Poch has shown no interest in Good young attacking players only defensively minded players with little flair. With luck he will reform and make something of Parrott and Bennett but there are no whispers to explain why he has ignored Roles even when with Son at Asian games and injuries to Kane Dele and Pamela we were very very sort of attacking flair and within an injury of catastrophy. So I would regard Poch record on player development from youth as very weak. I didn't say I think he's flash or attribute his attacking prowess as reasons to believe him to have so. We were speculating as to why he didn't get on the bench today yet Marsh did. There's a reason for this that we will never know. It may have been tactical, Roles may have not been match fit to, but equally he may just not be Pochettino's cup of tea for whatever reason. In no way did I suggest that I believe him or anyone I am unfamiliar with as a person to be something they aren't, I was merely throwing out reasons we see some chosen and not others, these reasons we will never know.